As clear aligners have become very popular among teens and adults, our practice began to see a rise in interest for them for early treatment or mixed dentition treatment. For the longest time, my answer was, “We need to wait until she has fewer than four baby teeth left in her mouth.” At the time, this seemed like the logical answer. Why start earlier if there are many primary teeth to lose? Soon, the 8- and 9-year-old siblings of these teen patients were asking the same thing. They were excited to see their big brother or sister have clear aligners, and they wanted them too. For many of us who treat Phase 1 patients in our practices, the thought of providing aligners to a child of 8 or 9 may seem like a huge mistake, from both a financial and compliance perspective. Initially we’d start some of these cases because of parental demand—with the understanding, and associated fee, that this could be a three- to four-year process, with multiple phases of orthodontic treatment and requests for removal of stubborn primary teeth to help move the treatment along. However, it would not work for every patient—especially if parents did not want to commit to four years of treatment and the associated fees, or if they just wanted a “Phase 1” approach and short-term treatment. 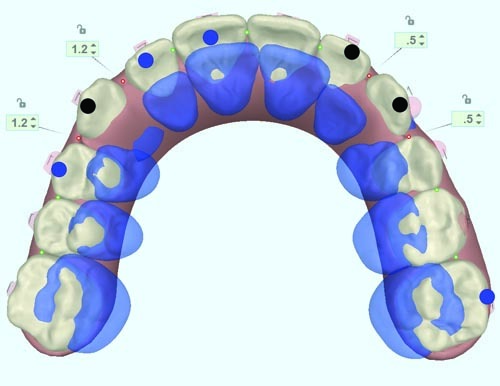 Our office was part of a recent limited-market release by Align Technology, the makers of Invisalign clear aligners, and tested the new Invisalign First clear aligners for Phase 1 patients who need space creation in the early to middle mixed dentition. Rather than putting patients into a three- or four-year comprehensive program, we could now offer Phase 1 with clear aligners for 12–18?months, and have the ability to offer Phase 2 with clear aligners later, once all the permanent teeth were erupted. As part of the Invisalign treatment program, exclusively priced Phase 2 packages are available only to patients who have undergone Invisalign First treatments. From a practice management perspective, this makes sense because Phase 1 treatment is usually limited in scope and priced lower—more affordable for most families. In addition, being able to correct crowding and even some AP issues early, when the patient is in an active growth phase, is ideal. 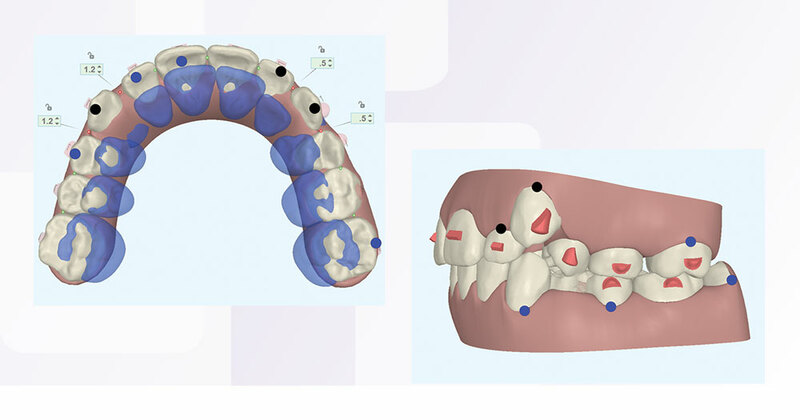 In this article, I present a patient who was part of this limited release, and discuss the details regarding her treatment and the product features now offered by Align to help orthodontists treat these cases effectively, efficiently and predictably. Treatment plan is 12–15 months; our goals are to create space for UL3, UR3 and LL5, and to align the upper and lower anterior teeth. The ClinCheck treatment plan setup in Fig. 3 shows the amount of expansion being placed in the upper arch. 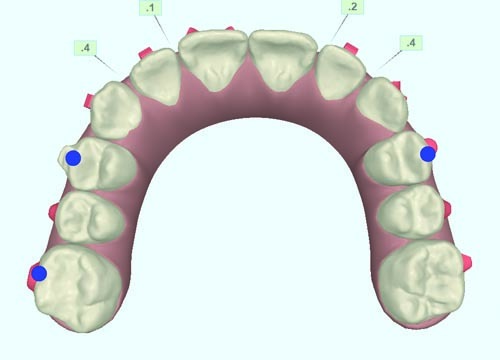 In the new Phase 1 clinical preferences, doctors are able to request the amount of expansion they desire in the upper or lower arches. We requested 3mm per side, with some additional spacing added via 3D tools for the canines. Fig. 4 shows the amount of the expansion being placed on the lower arch, a similar amount. The movement in this case is dental expansion: There is “lag” between the teeth and the plastic, so requesting more expansion that you actually need or desire is imperative to get the results you’re looking to achieve. From our experience in treating more than 2,400 clear aligner cases, we know that overtreatment is essential. However, we also have found that the younger the patient, the less “lag” you have in the aligner itself and that overtreatment, while still needed, does not have to be as extreme. In this age group, 1mm additional expansion overtreatment is a good start. Fig. 5 shows some of the newer attachment features for the Invisalign First clear aligners. These attachments have been specifically designed to enhance retention and optimize the buccal movements or expansion that is occurring. With short clinical crowns, especially on the primary teeth, it’s important to have these additional features, which help stabilize the aligners and prevent them from being “flicked” out of the mouth by the patient’s tongue. Fig. 6 shows the default staging for the expansion in the upper arch. The molars are moved buccally and slightly rotated first; then, at Aligner 16, the remaining posterior teeth and canines are moved buccally. The rationale behind this default staging for expansion is to use the arch to help push the molars out buccally first. Once they are in position, they are then used to help expand the remaining teeth in the arch. 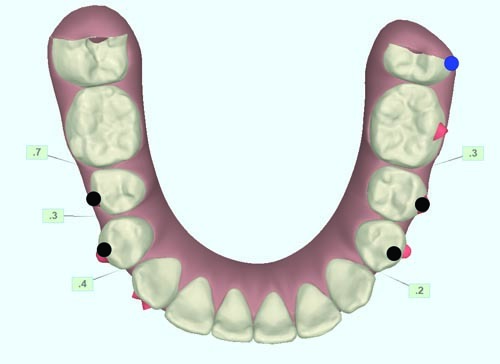 When submitting a prescription, doctors have a choice on this staging in clinical preferences—they can choose “molars first” or opt for simultaneous expansion where all the teeth are moving buccally at Aligner 1. 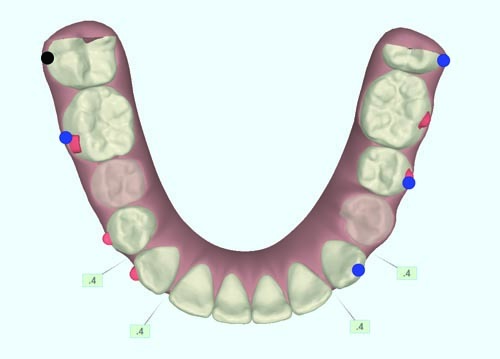 The molars-first staging pattern is a default in clinical preferences. Fig. 7 shows another feature available with Invisalign First and the Invisalign comprehensive Phase 2 package: eruption compensation (EC). 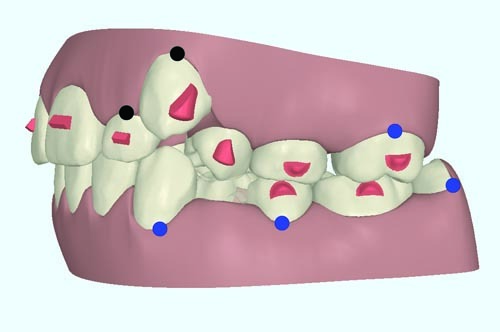 In this figure, the features are located on the lower arch and are clear in color—they appear to be pontics holding space for unerupted or missing teeth, but unlike pontics, ECs enable highly accurate space-holding predictions for teeth to naturally erupt into aligners. 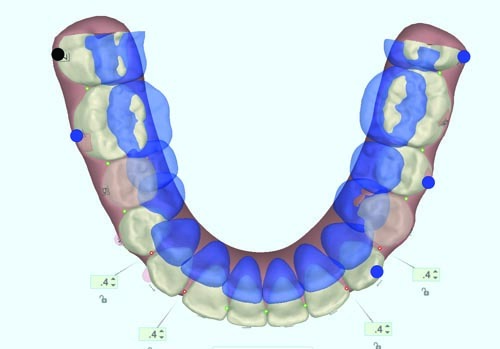 Because of the large number of patients having treatment with clear aligners, Align Technology is able to use advanced proprietary algorithms to determine the likely path of these teeth into the arch. Using that data, it places EC on these cases to help guide the erupting dentition into place. From our experience, they are effective and the erupting dentition falls right into place. 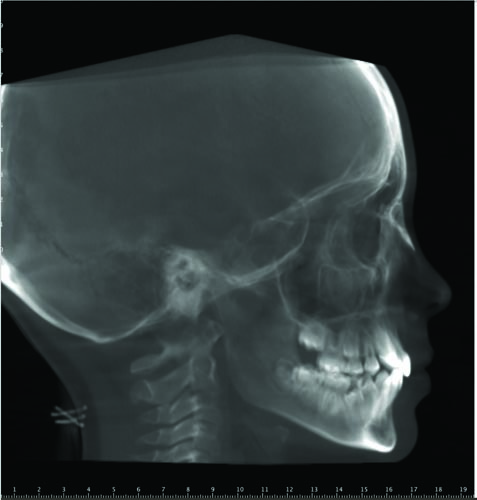 Our patient did have some tracking issues around UL3, so we decided at Aligner 27 (Fig. 8) to rescan and send for additional aligners. At 27 weeks of treatment—patients change their aligners every week—you can see the progress of the expansion in both arches; the LL5 is starting to erupt; space is still being created; and better alignment of the upper and lower anterior teeth is evident. Fig. 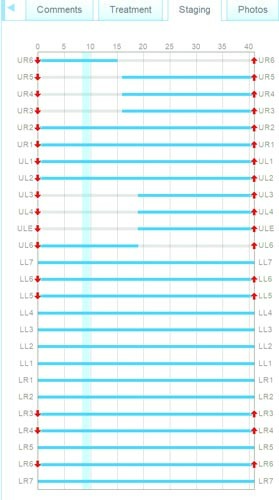 9 shows the upper and predicted alignment in this order of additional aligners. Our plan was that this set would be her final set of “active aligners” for her Phase 1 treatment. As we do with all our patients who have Phase 1 treatment in our offices, we would provide a retainer and four-month appointments to monitor the erupting dentition and further growth. When the time is right, we would then offer Phase 2 treatment and complete her treatment with the full complement of adult teeth. With Invisalign First treatment, the patient’s case remains in your portal. When ready, you can then rescan and submit new records under the same patient ID and proceed with Phase 2. Orthodontists need not hurry into Phase 2—patients have 10 years to be eligible for an exclusively priced Phase 2 package (as measured from the shipment date of the Invisalign First package aligner order). As always, it is up to the doctor as to the optimal time to start Phase 2 treatment. From our experience, these Phase 1 patients are the absolute best when it comes to compliance: They generally listen to their parents and follow the rules, unlike teenagers that think that parents and doctors don’t know anything! Oral hygiene is not an issue anymore. We had complaints from our referring pediatric dentists that the braces and other fixed appliances were hard to keep clean and patients often presented with terrible oral hygiene that sometimes resulted in decalcification. For our practice, not having to instruct a parent on how to turn “the key” or provide the young patient with a list of all their favorite foods they can no longer eat is a definite plus. Parents like not having to nag their children about their food choices, and are very happy about not having to make any special meals or blend all their food. What we hear from the parents of these patients is their enthusiasm for the process—“This is amazing,” “She looks great so quickly” or “We can’t believe how easy this has been!” Statements like these make our day! We all want our patients happy, impressed and less stressed about their orthodontic treatment. Invisalign First clear aligners for Phase 1 patients can create that experience for your parents, patients and your practice. Patients must have erupted permanent first molars and at least any two incisors (permanent or primary) that are at least two-thirds erupted. Patients should also have at least two primary (C, D or E) or unerupted permanent teeth (3, 4 or 5) per quadrant in at least three quadrants. The applicability of the product is driven by the clinical dental inclusion criteria, rather than the patient’s physical age. 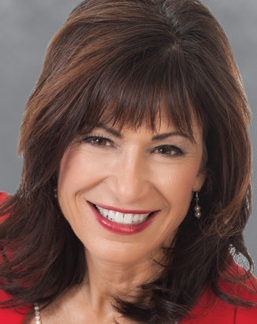 Orthotown editorial board member Dr.?Donna Galante owns three orthodontic practices in Northern California with her husband, Dr. Paul Cater. Galante received her orthodontic specialty certification at the University of Pennsylvania and opened her first private practice in King of Prussia, Pennsylvania. Since then, she has been a UPenn clinical instructor and became a diplomate of the American Board of Orthodontics. Since 2010, she has been an Invisalign Diamond Plus provider. As a member of Align Technology’s faculty, Galante lectures nationally and internationally teaching doctors how to achieve exceptional results with Invisalign clear aligners.